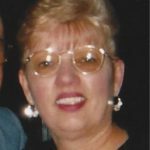 MERCADO: Carol Lee Mercado, 71 of New London entered eternal life on Nov. 12, 2018 at her home. She was born June 11, 1947 in New London the daughter of the late Trall and Josephine (Gunther) Butler-Jerome. Carol was a life long resident of New London and attended local schools. She was united in marriage, to Raymond “Ray” Mercado on Dec. 18, 1963 in St. Mary Star of the Sea Church, and were members since their, Ray passed on Oct. 18, 2016. Carol was a devoted and loving wife, mother, grandmother and great grandmother, and she took great joy in taking care of the grandchildren. She loved her animals, pet bird Colman, two dogs, Duke and Jessie. 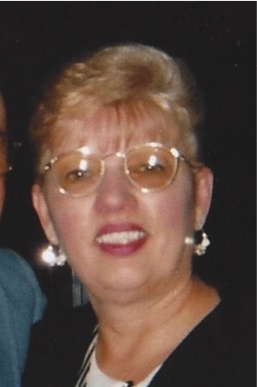 Carol enjoyed dancing, country western music, gardening, watching Red Sox’s games with her husband, playing card’s and bowling. She is survived by her three sons, Gregory Mercado. Brian Mercado and Raymond Mercado. Two sisters, Jean Mercado of Waterford and Debra Nousiopoulos of New London. Five grandchildren, Jamie, Kelly, David, Diego and Casey, four great grandchildren, Jordan, Lexi, Cammaron, Jayden and many nieces and nephews. She was predeceased by a step-father, John Jerome. Her family will receive relatives and friends on Sunday from 4pm to 6 pm at the Impellitteri-Malia Funeral Home, 84 Montauk Ave. New London. The funeral will assemble on Monday at 9 am and proceed to a Mass of Christian Burial at 10 am in Our Lady of Perpetual Help Church, 63 Old Norwich Rd. Quaker Hill. Interment to follow, in St. Mary Cemetery, New London.